Apple stated, “This app is perfect because you used all the features,” including the accelerometer on this newly-launched Apple product. 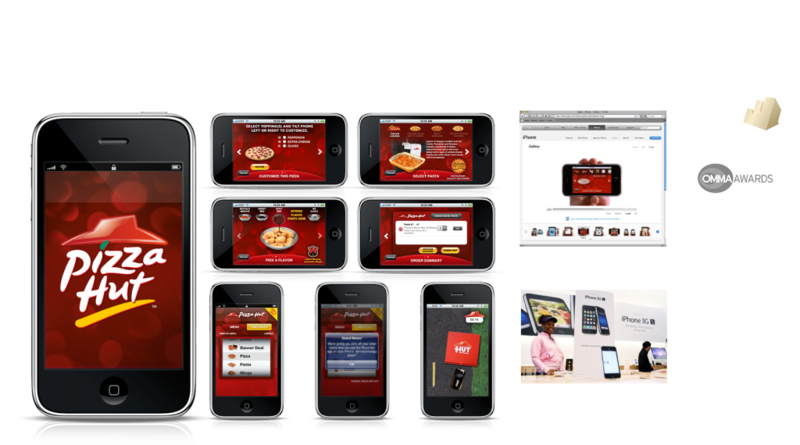 Besides being one of the first eCommerce apps on the iOS platform, we successfully beat Domino’s to the ever-competitive, Quick-Serve-Resaurant (QSR) playing field, and we changed the game. This app included fun features like tap-dragging toppings to build your pizza, shaking the phone to coat your wings order with a chosen sauce, and an accelerometer-heavy, pizza delivery driver game to play while you wait for your phone order to be delivered. This app won many industry awards, was featured in Apple print ads and in Apple TV spots as well as being installed on all display models in Apple stores. Starting on the ground floor of this ever-moving technology has been invaluable in being relevant and innovative.